Here at Who What Wear UK, we consider ourselves Zara connoisseurs, knowing every item dropping each week (for purely professional purposes, of course). But every now and then, even we discover things about of Zara we had no idea existed. It was in my search for the perfect furry rug on Zara Home that I discovered the retailer doesn't just sell candles and photo frames in this department; it also sells excellent loungewear. If you want to upgrade your pyjama drawer and can't quite afford the luxe cult brands that are trending right now, we advise you go to Zara Home's loungewear tab, which is filled with expensive-looking robes, comfy trousers, flowing kimonos and sleepwear sets in pretty floral prints—the perfect sofa-wear. As with everything Zara, this loungewear is hugely trend-led and so is currently tapping into silky slip dresses and kimonos, meaning you might want to wear them off the sofa, too. Scroll through the gallery below to shop our edit of the 16 key loungewear pieces from Zara Home. There's a matching robe too. Striped housecoat or ultra-chic spring cover-up—you decide. Best worn as the complete set. The perfect shirt and short combo for under £50, just in time for spring. We can't get enough of vintage floral prints. Go for the matching set and slip into the pretty printed bed shorts. Perfect for loungewear, this embroidered dress doubles as a dreamy beach cover-up. We're still big into tropical patterns. Wear this silky jacket with cosy separates or over a white tee with jeans and heels. 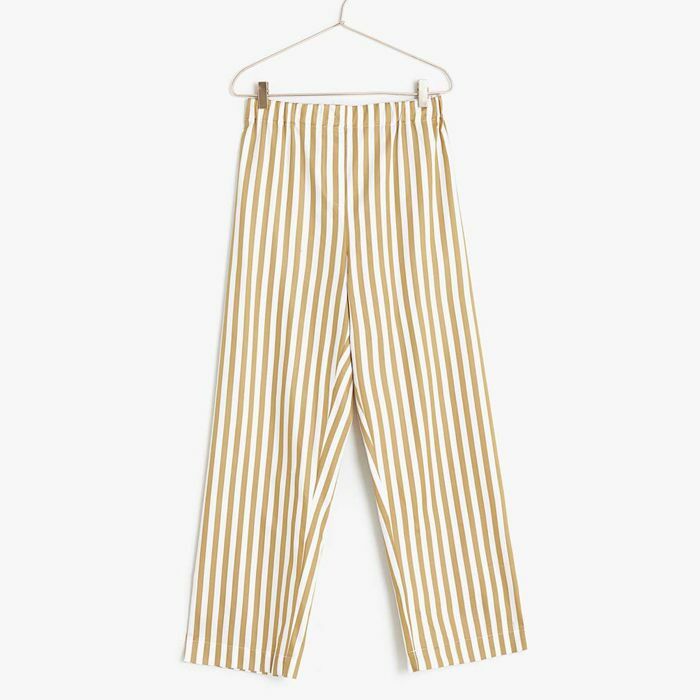 The coolest, comfiest pair of wide-leg trousers we've seen on the high street. Punchy prints not your thing? Try this classic linen pyjama top instead. Subtle red piping updates these timeless white pyjama trousers. Zara is still our go-to for silky jacquard kimonos. And trophy trousers, of course. Vibrant lace updates this simple slip dress.